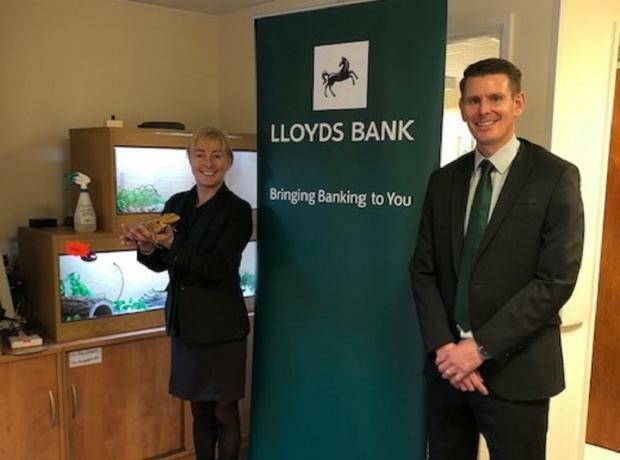 On Tuesday 15th January staff from Lloyds Bank International Ltd attended the GSPCA morning briefing to talk to the team about Financial Well Being. The Bringing Banking to You Manager Islands Community Banking with a Lloyds Bank International Ltd colleague gave an informative impartial talk to start the day. Yesterday at the GSPCA we welcomed a group of 7 Lloyds Banking Group staff at the Shelter and our stall at the West Show. Yesterday at the GSPCA we welcomed a group of 7 Lloyds Banking Group staff at the Shelter. Today is the second day we have a team of volunteers from the Lloyds Banking Group helping out at the Shelter. Today we are looking at businesses that help animals in Guernsey. Yesterday we talked about Hayley Malpas one of many very special volunteers here at the GSPCA Animal Shelter.